How Motorola Solutions is changing its focus and its workforce - WorldCity, Inc.
For Motorola Solutions, the past was about making and selling two-way radios and other communication devices for governments, police and other first responders. But times have changed. Now, the company focuses on crafting units with software tailored to each client’s needs. And that means transforming the workforce as well, said Henry Lara, Motorola Solutions’ human resources leader supporting the Latin America region and the company’s Innovation Center in South Florida. In practical terms, the change involves holding onto legacy workers who understand both the new products and Motorola’s clientele; hiring younger workers fluent in the new approaches; and either educating long-time employees willing to make a change or saying goodbye to them. “The conversation today is about the company going through a big transition,” Lara said. Lara made his remarks at WorldCity’s HR Connections event held Oct. 28, 2016, in downtown Miami, in conjunction with law firm Littler Global’s Latin America Conference. In some ways, Motorola Solutions is ahead of the game compared to other traditional companies. It’s progenitor, based in Schaumberg, Ill., started out 88 years ago making walkie-talkies for a suburban police force and grew to supply governments and consumers worldwide. Motorola split in 2011, with the consumer section going one way and enterprise Solutions another. The division is battling headwinds too, as Latin America confronts lower commodity prices and slower economic growth. Its top clients – governments and their police and firefighter units – are reluctant to part with scarce dollars. What Motorola Solutions is doing — in line with manufacturers in many other industries — is changing its sales approach by tailoring products to meet each client’s unique requirements. How to change workforce focus: Hire new or retrain? 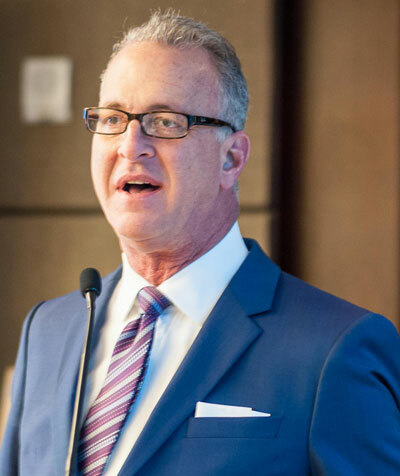 WorldCity CEO Ken Roberts, who shared the stage with Lara, likened the transition to a “retention problem in reverse” and wondered if Motorola Solutions seeks a different kind of employee. “It used to be an electrical engineer. Now, it is a software engineer,” Lara replied. Roberts asked it’s better to hire new workers enthusiastic about innovation rather try to re-train current ones. 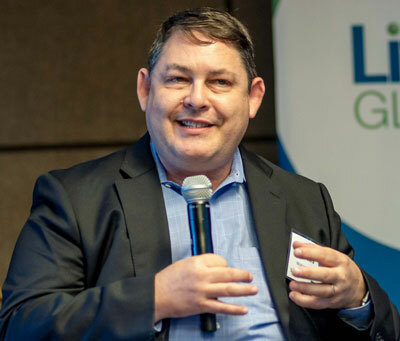 Jeremy Roth, Littler Global co-president and co-managing director wondered if Motorola was bringing on change-management consultants to help re-educate the workforce. So far, Motorola Solutions has not hired outside help and worked in-house, Lara said. And tough decisions must be made. Long-time clients need attention, and, especially in Latin America,client relationships cultivated over time cannot be easily dismissed. 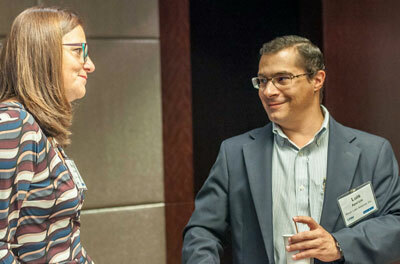 “Having contacts in government relations in Latin America are very important,” said Lara. To be sure, Motorola Solutions starts from an enviable position in Latin America to make the change. It remains No. 1 in market share, though rivals from China and South Korea as well as startups are nipping at its heels. Latin America’s recent economic slowdown also has given the company a chance to consolidate its new approaches. Its best markets now, he said, are in Caribbean; Argentina and Chile are bright spots; and the future is looking up. But as client spending grows, Lara worries that rivals may turn to poaching company staff. “Our workers are very desirable. I hear all the time that competitors are looking to hire away our people,” he said. Audience members were interested in the nuts and bolts of making a change. “I presume you have somebody in the talent management area who can cover the training” and analyze what is missing?, asked Laura Camacho, director, HR Talent Management & Development, MasTec. 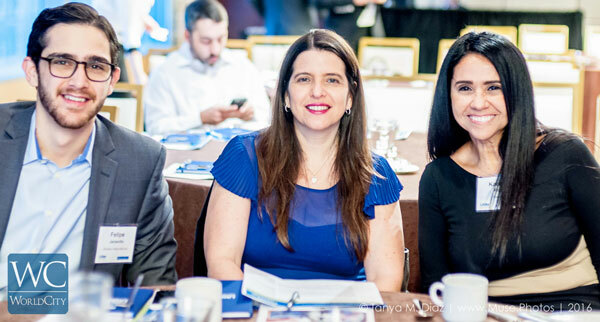 HR Connections is one of four event series organized by WorldCity to bring together executives in the greater Miami area on international business topics. The HR series is sponsored by retained executive search firm Diversified Search, career and talent management specialists Right Management and law firm Littler Global.